» Why Mobile Hotspots are a Must for Business Travelers? With the rapid increase in the usage of mobile phone and smart phone users, there is a greater demand for mobile phone services that allow people to stay connected at all times. 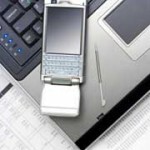 Today, many businessmen depend on hand held devices that offer Internet connectivity for quick and easy access of information. Technology has come a long way from the evolution of Bluetooth to the 3G and the 4G networks that are becoming commonplace today. These days, hotspots have become extremely popular and they can practically be found everywhere ranging from public places such as coffee shops, bookstores and airports to some local towns and municipalities. At a very basic level, they refer to the ability to connect the Internet to a local wireless network. However, the same functionality can be shared using smartphones with the help of the right software and hardware support. Mobile Hotspots are small wallet sized devices that utilize the wireless data service by using a built in router with the capability of transmitting data at higher speeds. Now, they can practically work anywhere depending on the network of your service provider with the ability to support up to 5 devices at the same time. Many newer smartphones have mobile hotspot functionality built-in, you just run the hotspot app and connect your wireless devices via your smartphone to your cellular 3G of 4G Internet network. Most business people who travel need to have instant access to the Internet for sharing vital business information with their clients and co-workers. However, places that provide wireless Internet access can be quite expensive and sometimes, data access and transfer may be relatively slow. In such times, it may be a good idea to have your own mobile hotspot that can provide wireless Internet access using a smart phone or even a laptop device. One of the benefits of using mobile hotspots is to that you can have wireless connectivity among multiple devices to ensure quick and efficient means of business communication. By using mobile hotspots, you can just have a single device that allows you to provide connectivity to many other devices and offers greater functionality to the users. That means, now you can use your smartphone with a mobile hotspot to act as a wireless modem or router and access the plethora of information that is available on the Internet from practically anywhere that there is a cellular signal. Now, mobile hotspots are capable of delivering higher bandwidth then older dial-up tethered mobile connections which make it suitable for receiving large amounts of data and information. Using the higher speed, you can easily download large business presentations and also have video conferencing support whenever required. There are many mobile service providers that enable you to tether your smartphone with different devices such as the laptop or the tablet. However, this may require a USB device or Bluetooth connectivity for your smartphone to act as a mobile hotspot and access instant information. Mobile hotspots can be very useful for frequent business travelers who need to stay in constant touch and share vital business information. Now, using a wireless network, you can easily ensure smooth connectivity using these mobile hotspots and send important updates and e-mails for effective business communication. As these devices are small and portable, they can be easily carried anywhere you travel and be used to access the Internet at your convenience.